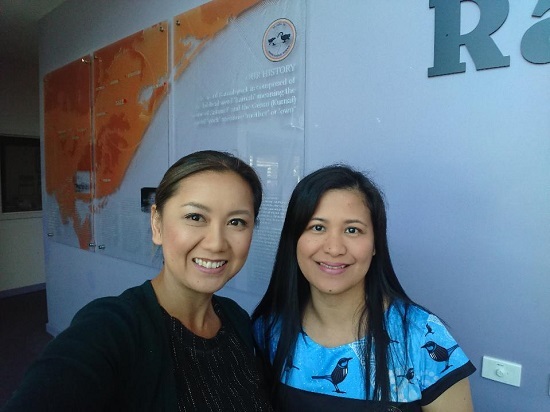 Seray Lim recently joined RWAV as a service provider as part of the Healthy Ears Better Hearing Better Listening Program (HEBHBL). Seray has a long history of working in community health and in rural areas. On her return to Melbourne after two years in the Northern Territory, she began working in the area of paediatrics, diagnostics and health promotion, as well as for a not-for-profit, providing adult aural rehabilitation. During this time, Seray discovered that giving back to the community was something she wanted to do, and being an audiologist was a means of doing that. Seray recounts some of her experiences about her journey as an audiologist for the HEBHBL program. “I recently joined RWAV as part of the Healthy Ears Better Hearing Better Listening Program. The program aims to increase access to diagnosis, treatment and management of ear and hearing health services to Aboriginal and Torres Strait Islander children and young people up to 21 years of age. I am currently working in the Gippsland area (which I love because I get to reconnect with a community that I had lived in for a short while in my early years). In February, I travelled to Sale for two days. The first day I attended the Cultural Awareness Training Workshop facilitated by RWAV in partnership with the Victorian Aboriginal Community Controlled Health Organisation (VACCHO). The second day was a clinic day at Ramahyuck District Aboriginal Corporation. The first client was a young girl who was brought into the clinic by her aunt, following complaints of a sore ear the night before. She had just woken up and arrived in her PJs. Her audiogram revealed a bilateral moderate hearing loss with middle ear pathology in both ears. These results were discussed with her aunt. I will be reviewing her again in two to three months. The second client was a boy with a longstanding mild to moderate sensorineural hearing loss. He was eager to improve his hearing as he was having trouble listening to his teachers at school listening to his teachers. One option we discussed was hearing aids – which he knew about because his cousin wore them. Without hesitation, he said that unlike his cousin he would wear them all the time. This was very pleasing to hear as one barrier (i.e. stigma of hearing aids) was already overcome. 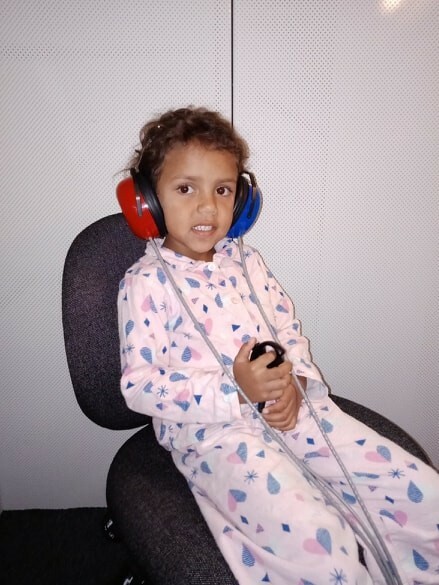 His aunt, who attended the appointment with him, reported that the family had been concerned about his hearing for a long time and so she was happy to know that he is one step closer to better hearing. He is now on the waitlist for the visiting otolaryngologist (ENT Specialist) and visiting audiologist. Learn more about the Healthy Ears Better Hearing Better Listening Program. © 2019 RWAV. All Rights Reserved.